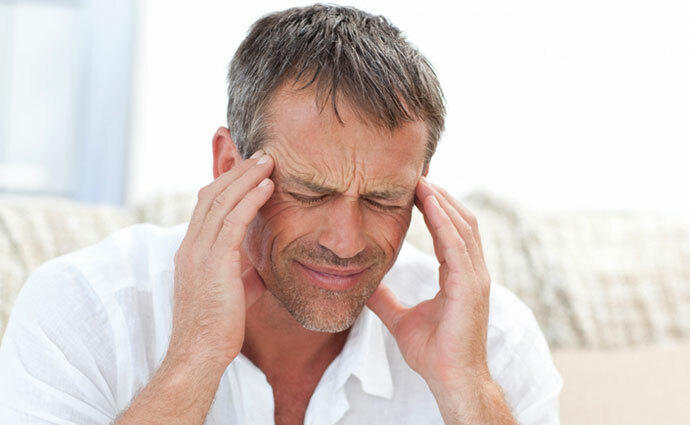 TMJ (Temporomandibular Joint) Disorder can cause severe headaches and interrupt your daily life. TMJ Disorder refers to problems that occur in the temporomandibular joint – this is the joint that hinges your lower jaw to the temporal bone of your skull. 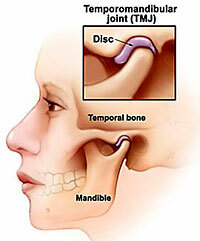 Jaw joint pain, clicking or popping of the joint and headaches are symptoms of a TMJ disorder. We utilize a number of sophisticated instruments in our practice of neuromuscular dentistry to find the position of the jaw where the jaws, teeth, and muscles operate in harmony. The Myomonitor relaxes the jaw muscles and gets them into their ideal position. The first goal is to find the position of the jaw where the muscles are relaxed and at rest. This is a three dimensional position in space and is often irrespective to the position of the teeth. We utilize a device called a Myo-Monitor to relax the muscles. 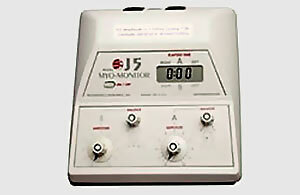 This device delivers a mild electrical impulse to the muscles that move the jaw. In addition to relaxing the muscles, it sets up ideal muscle function by increasing blood flow, flushing out toxins. We often find that after 45 minutes of stimulation, the muscles are in their ideal position. 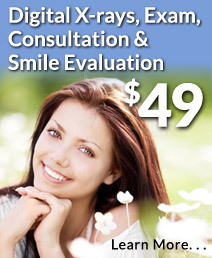 We then utilize the K7 Evaluation system to record this position and transfer it to casts or models of your teeth. The K7 Evaluation System analyzes the way your jaws move, reads muscle activity levels of your facial and jaw muscles, and identifies noises from your jaw joints. The Oasys orthotic helps the jaw muscles heal and the pain to go away. Once we have verified the comfortable position of the lower jaw, we can fabricate an orthotic that allows the jaw to close to this ideal position. In this position, the muscles are at an ideal length and will not go into spasm. Muscles will heal, pain trigger points will go away, and joint capsules will heal. This orthotic is left in place for three months to stabilize the bite and insure that all symptoms are gone. 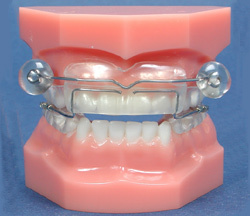 At this point a decision is made to wear the orthotic indefinitely, have orthodontics done to move the teeth to this ideal position, have one or two arches of teeth restored, or to adjust the bite to this ideal position. "I like their use of technology in every facet of the practice from video cameras and monitors in the procedure rooms to electronically controlled injections, and to their use of modern and stable materials."